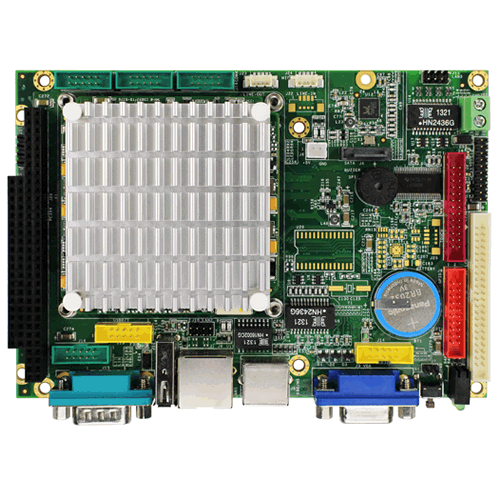 MIO-5290 3.5" SBC | EMAC Inc. 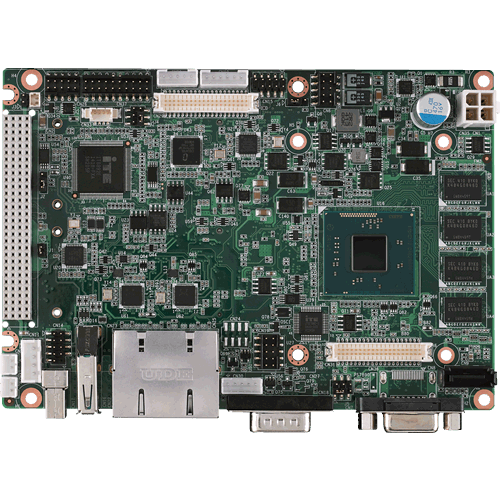 The VDX2-6526 3.5” family of embedded controller is designed with backward compatibility in mind, to provide migration path for projects facing end-of-life challenges with their existing x86 based 3.5” controller. The VDX2-6526 family of controller is designed as a plug in replacement, with backward compatibility to support legacy software to help extend existing product life cycle without heavy re-engineering. 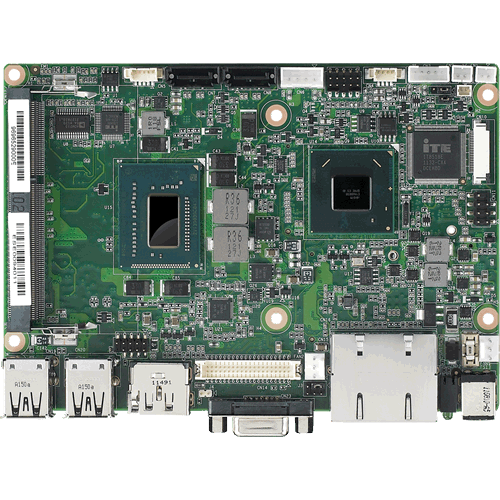 PCM-9365 is 3.5" form factor (146 x 102 mm) and powered by the latest generation of Intel® Celeron® N2930 and Atom™ E3825 processors which have low power features but also good performance computing, especially for multimedia capabilities compared to earlier generations. Meanwhile, PCM-9365 offers flexible expansion possibilities: two full-size mini PCIe, PCI-104, and the 2nd LVDS by request. 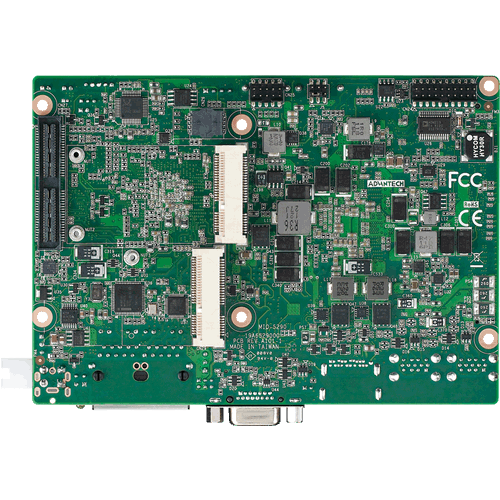 PCM-9365 supports various display interfaces including HDMI, VGA, and 48-bit LVDS, and rich I/O: 2 x GbE, SATA, mSATA, 4xSerial Ports, USB 3.0 and 5 x USB 2.0. The manufacturer created the stackable architecture MI/O Extension Single Board Computer as a SBC design with flexible and multiple I/O support (hence the name MI/O) and united extended interface connector. 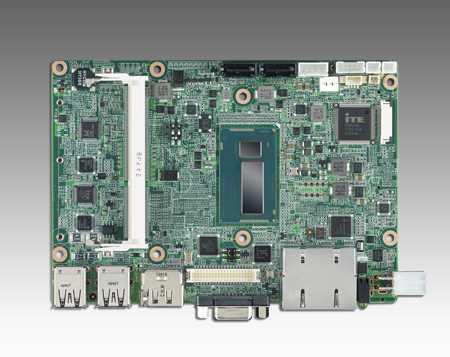 The new MI/O Extension Single Board Computer: MIO-5290, based on the 3rd generation Intel ® Core™ processors with QM77 chipset, supports either 1600MHz DDR3 or low power 1333MHz DDR3L, USB 3.0, SATA III (600 MB/s), AMT 8.0, and can drive three independent displays (two DP combine with any other device). MIO-5290 provide not only the powerful computing capability but also a great graphic capacity platform. It’s suitable to aim various high level embedded applications. MIO-5290 adapt the newest solution from Intel with 22nm process and leading innovation: Tri-Gate Transistor architecture (Higher performing transistors and lower leakage). It can have up to ~15% CPU performance increase with lower or the same power consumption. DDR3-1600 and DDR3L-1333 for speedier communication between components at lower power. The fastest I/O, such as USB 3.0 or SATA port up to 6Gb/s is also available on MIO-5290. It will be the best choice to construct next intelligent system. MIO-5290 contains a latest generation graphics core (Intel® HD Graphics 4000) with DXVA (full AVC/VC1/MPEG2 Hardware Acceleration), OpenGL* 3.0 and DirectX 11 support. Up to ~50% 3D performance increase and 1.8X HD to HD transcode performance. It can help customer easily to implement high quality video or graphic application through MIO-5290 along with single and simple integrated solution. 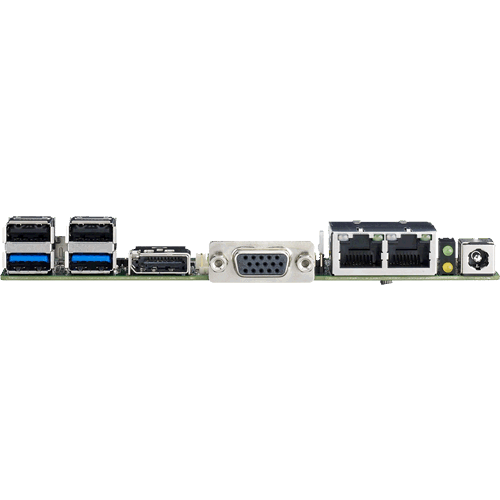 MIO-5290 also can support Dual Display by any combination interface from board. 3 independent displays also can be available through two display ports (one from MIO extension) with VGA or LVDS.